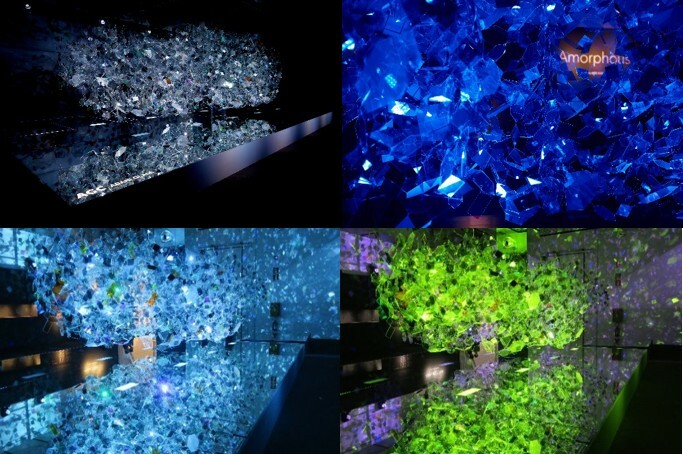 Tokyo, October, 2016 — AGC Asahi Glass (AGC), a world-leading manufacturer of glass, chemicals and high-tech materials, announces that its glass installation “Amorphous” presented at Milan Design Week 2016 has won this year’s Red Dot Design Award in the category of Communication Design. The Red Dot Design Award is a globally renowned design competition, and AGC’s Amorphous has been selected for the spatial communication category of the Red Dot Award: Communication Design 2016. Milan Design Week is a world’s largest design event held every April in Italy. In the second year of participation this year, AGC recreated an amorphous molecular structure of glass in a model one billion times its actual size, using approximately 5,000 pieces of various thin, chemically strengthened glass. 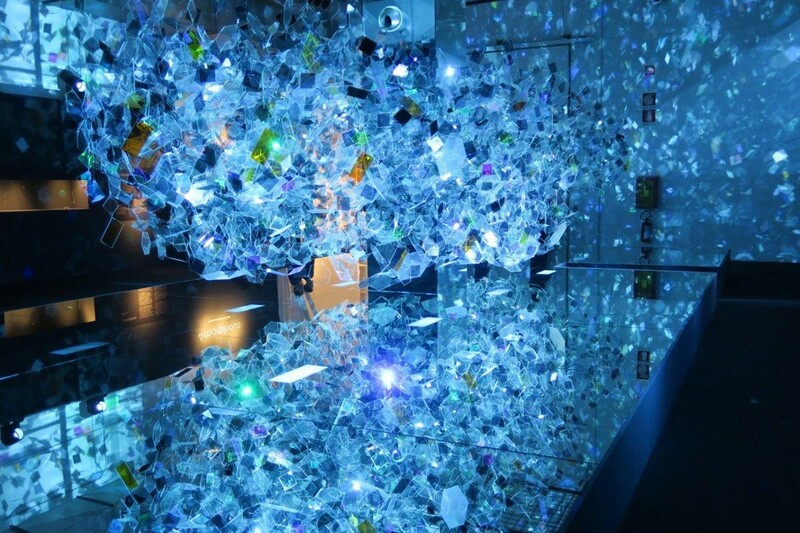 The spatial design and lighting were done by NOSIGNER and Izumi Okayasu, respectively. The gigantic glass installation showcased various thin, chemically strengthened glass, including glass that reflects light just like mirror, that clearly shows the scenery on the other side, and that changes colors depending on the viewing angle. It allowed the audience to experience a “light, flexible and expressive” glass world that demonstrates the future possibilities of glass. Under the management policy, AGC plus, the AGC Group will continue to expand the possibilities of glass use into various new fields, in addition to architectural, automotive glass applications, and offer new value and functions around the world. AGC Asahi Glass (or also called AGC, Registered Company name: Asahi Glass Co., Ltd., Headquarters: Tokyo, President & CEO: Takuya Shimamura) is the parent company of the AGC Group, a world-leading glass solution provider and supplier of flat, automotive and display glass, chemicals, ceramics and other high-tech materials and components. Based on more than a century of technical innovation, the AGC Group has developed a wide range of cutting-edge products. The Group employs some 50,000 people worldwide and generates annual sales of approximately 1.3 trillion Japanese yen through business in about 30 countries. For more information, please visit www.agc-group.com. The “Milan Design Week”, one of the largest design festivals in the world, has been held every April in Milan, Italy since 1961. Approximately 1,000 events (Fuorisalone) in which designers and other creative people compete with unique designs are held simultaneously during the festival at various locations in Milan, and all of these events are now collectively called “Milan Design Week”. 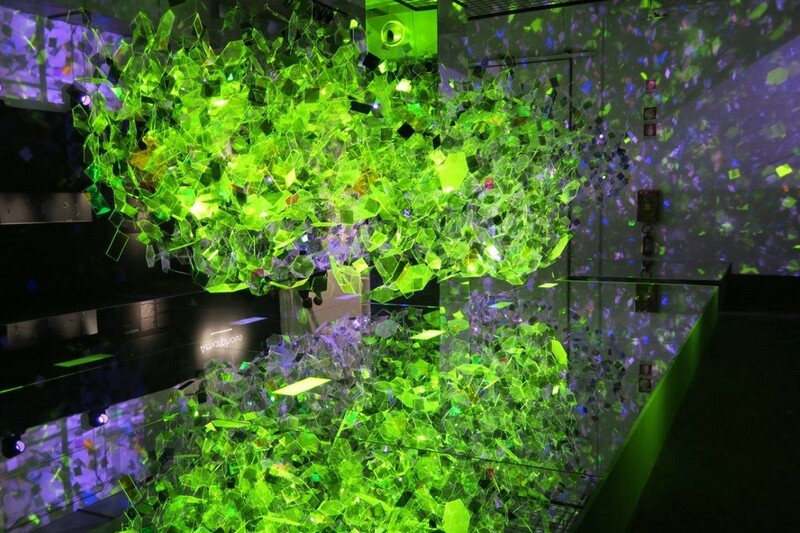 As it did last year, AGC will host a booth at Fuorisalone again this year.